Everyone knows that a perfectly placed mirror multiples the beauty in your #interiordesign and multiplies the light and space in a room. It can also reflect your well-placed art, lamps, furniture and accessories as well as a beautiful view outside a nearby window. Rafello’s chain and loop motif has a versatile appeal that help it to “link” with many interior design styles from Industrial to Modern Farmhouse. The lines are contemporary, but the materials and finish crate a relaxed transitional statement. 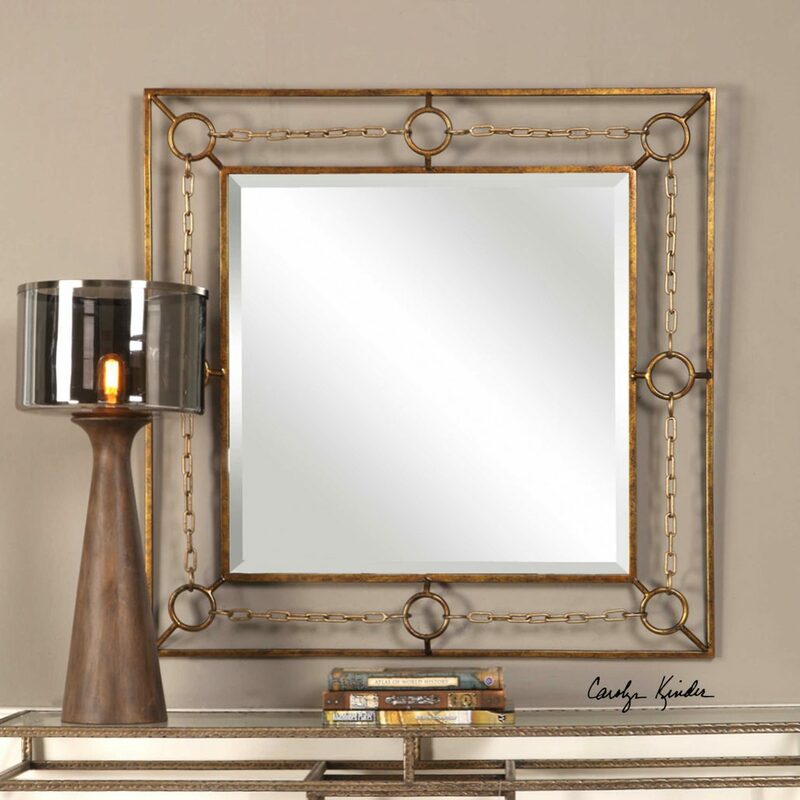 Available in all shapes and sizes, take a few minutes to browse our beautiful, unique mirror designs.